For a number of reasons, not least the Wimbledon Finals, I have decided not to do an official blog this week. Instead I thought I’d let this week’s articles in both the Oxford Times AND the Oxford Mail Online do the job for me. It’s not that I’m lazy Blogger by any means, I just thought a double dose of, what one reader referred to my blog as, “the last words of Chairman Mao”, (thank you Wendy Ferrell from Surrey) would be pushing the boundaries of reader commitment. “Happy as Larry”: but who was Larry? While I promise not to go into a great long monologue on the emotional state of Larry, the phrase, which I use fairly regularly myself, did spark a train of thought during a discussion with friends last week on the origins of phrases that now have become part of their’s and mine, and most of the English speaking world’s, everyday language. Do we ever stop to think about where they came from, or who said it first, and why they stuck? Possibly not, and if we did we’d be pretty boring because there are a lot of them, as I found when I started to trawl through the internet looking for them. Well apparently Larry was, according to one source (The Phrase Finder), an Australian boxer called Larry Foley (1847 – 1917). Foley was so successful he never lost a fight. He retired at the age of 32 and collected a prize of £1,000 for his final fight. So, I guess he would have been pretty pleased with himself for having survived a brutal and, at the time, illegal sport long enough to spend his winnings. Not long after that the phrase was first cited by the New Zealand writer G. L. Meredith, “We would be as happy as Larry if it were not for the rats”. Fear not I am not going to switch career and study ‘Etymology’ and bore you rigid with these every week, but I have realised that over the years my casual use of well known phrases has rendered me ignorant of the meaning or folklore behind them. I say folklore because few have a cast iron points of reference that confirm the original source. Most just being jolly good guesses. Well I can certainly identify with that one. My diary, or journal as I prefer to call it these days, was the last thing I put away at night when I was at school and I would generally end my input with, “Going to sleep now, night”, as if I was speaking to a real person. More often than not it got taken away from me if I was caught writing after lights out. But in that last year when I was trying frantically to record the disconnect rants of a pubescent teenager, my page-a-day (often only quarter filled) did become my closest ally. But in all truth, “Night, night, sleep tight”, which was regularly spoken over me as the light was being put out in the dormitory had, to my mind, a more sinister edge. Perhaps it was because I was afraid of the dark back then and the second bit of the phrase, “Don’t let the bed bugs bite”, added about 100 years later, suddenly turned what was supposed to be a blessing, into a curse. When I was at art school, in what seems like a lifetime ago now, I used to attend a history of art class on a Friday morning. It was held in a huge tiered lecture theatre in the most inaccessible part of Newcastle’s School of Art and Design. Yet every week I transversed the building site that was the car park and bumped up the broken kerb to the back door (which I usually found locked) that led to the lecture theatre just because I was captivated by the stories behind the many paintings in the slides projected onto the screen. One particular memorable Friday we spent the entire two hour lecture discussing this painting by Gustave Courbet, Ll’Atelier du peinter (The Painter’s Studio), and I found myself asking just before falling on the sword poised beneath me, “Is knowing that the shadowy figure at the back of the studio (which you can’t actually make out at all), who is meant to represent the art collector, Alfred Bruyas, an anti-government agitator, who’s wife (also in the painting) is having an affair with Courbet, going to make me a better artist?” Probably not but the last bit was quite interesting. I loved art school for that very reason. It was full of trivia and inconsequential nonsense that meant nothing to anyone else except the artist. But I guess that’s were the “F” word comes in because if you can get a few generations excited about inconsequential nonsense and make a buck or two as well so much the better. And therein comes the second reason why I loved art school, because going was the first real two finger salute I’d made to the education mafia who said I would never make a living from art so go learn to type. And of course they were right, but who cared. I was doing something that gave me a reason to get out of bed in the morning, and believe me I had had a good few years of not wanting to do that. So if the hugely enthusiastic, Peter Pan-like figure of my art school days wanted to impress upon me that the white cat playing in front of Courbet represented independence, freedom and the creation of a French Republic I was happy to believe him regardless of whether common sense and logic told me that it was just a sweet, little cat playing. The place where I grew up doesn’t exist anymore. It was bulldozed earlier this year and on its foundations is sprouting a new configuration of bricks and mortar that I’m not entirely comfortable with, but will continue to watch with interest as it develops all the same. 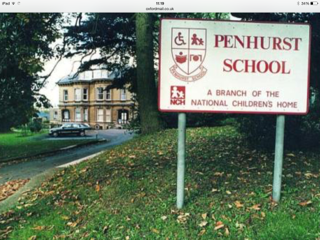 In 1968 when I was transported through its gates “Penhurst” was a residential institution for an assortment of children for whom normal life was not a given. However, that didn’t stop the school’s headmaster regularly reminding me,“There is no such thing as normal Jazz,” if he heard me use the words, “normal children”. A truly insightful attempt to correct my thinking that was only going to materialise with the benefit of maturity. But given that none of the children housed within Penhurst’s boundaries had normal working bodies, you’d think that some allowances would have been made if we didn’t quite make the connection. Located in a secluded part of Chipping Norton, Penhurst Residential School was made up of a collection of single storey dwellings: a school, a workshop, the chapel, a Scout hut, and a hospital as well as my own family group, Grenfell. However, at the heart of what my mother once described as “a little village”, screaming ‘institution’, was The Big House. As long as I can remember that was its name: The Big House, a four storey Victorian mansion, and while being large, impractical, and very likely not fit for purpose as an appropriate residential setting for the mobility challenged it did provide a magical haven to which I could escape. Grenfell had been the only family group to be relocated from it to a newly built, self contained block in 1970 in a bid to prepare for the more seriously disabled children that would eventually be admitted when the long stay children’s hospitals shut their doors. While we children enjoyed the light, spacious rooms of Grenfell’s new and modern surroundings the other four family groups continued to occupy the various large day rooms and dormitories, sleeping up to eight, in the Big House completed with rickety lift, secret corridors (or so I imagined), windowless attics and it own supply of ghosts. Suffice to say the Big House contained all that was denied me in Grenfell and I spent as much time as I was allowed up there hanging out with friends who were considered far too much of a bad influence on me to live with. I wasn’t surprised when I was told that Penhurst was to cease operation as a special education facility. Mainstreaming had taken hold and disabled children were no longer being sent to isolated institutions miles from their families. But to discover that it was being sold to private developers and turned into a posh retirement complex was a slap in the face to my childhood memories. While at one end of life’s laundry genetic counseling, terminations and various normalising surgery means that congenital childhood disability in the UK is decreasing, but at the other end of it people are living longer and are playing as hard as ever in a bid to out live their own life expectancy. Penhurst has gone from one extreme to the other in a matter of months. It will be a nasty turn of fate if I find myself back there. But there again I don’t believe in fate. 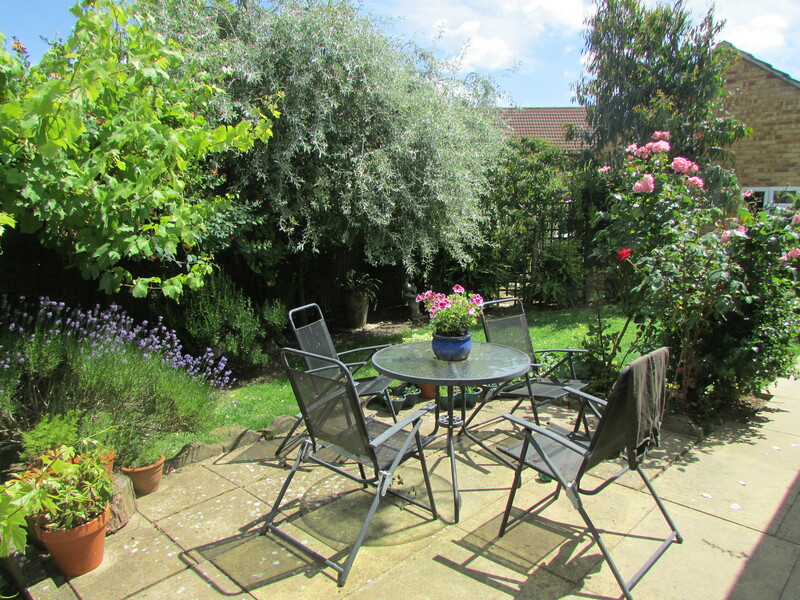 Sitting at the boundary wall in the centre of a garden where Wiltshire meets Somerset is a “Sister Irene Tree”. It has long, silvery green leaves that comes into bud every Spring which then glisten in the sunshine all summer until they fall in the Autumn. At its base grow purple flowers of Lavender, Rosemary and Grape Hyacinth. I planted the tree, known to the rest of the world as a ‘Weeping Pear’, when it was just a few twigs because I wanted to leave something of the person who left it to me. 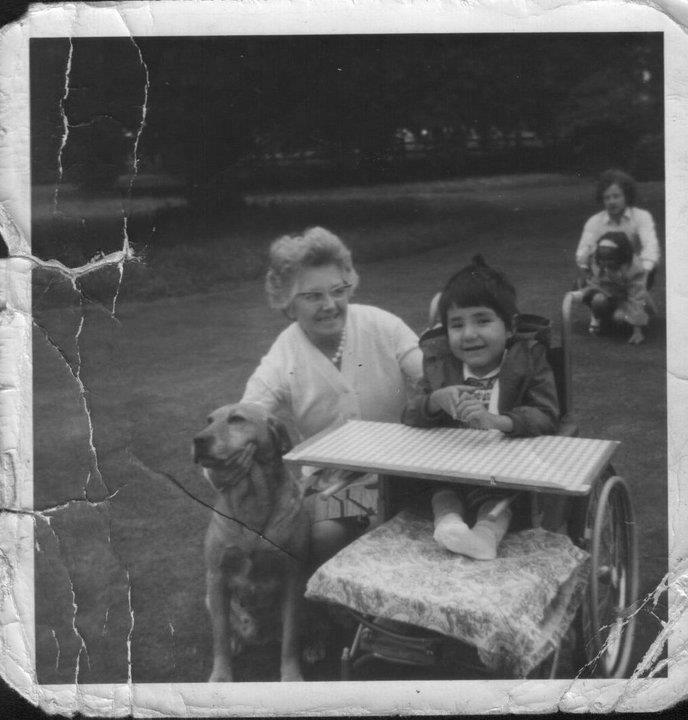 Sister Irene was ‘Sister in Charge’ of the family group in a children’s home where I spent my childhood years and despite leaving while I was still very young, she remained a part of my life until her death a few years ago. Irene Gillendar was not a real Sister, not in the nun’s sense anyway, but her calling was nonetheless heartfelt. One of the few truly dedicated followers of the National Children’s Home’s Methodist Sisterhood she had responded early to a calling into mission work. However, in much the same way that nuns have to give up all worldly yearnings, young ladies wishing to join the NCH’s childcare training course, with a view to ordination into their Sisterhood, were expected to remain unmarried and childless… and therein lay my potential ruin. In the days when the Sisters ran the world as I knew it, it was generally accepted that each Sister would have a ‘favourite’ who, once identified, was quickly dubbed ‘Sister’s Pet’. Invariably, ‘Sister’s Pet’ was the newest, youngest, and cutest arrival to the family group; someone that Sister could lavish all her unspent childbearing, emotional energy on. And in the Autumn of 1968 for Sister Irene that someone was me. Taking up residence in the all boy group of Grenfell to be with my big brother there was little doubt I would depose “Little Stephen” as the apple of Sister Irene’s eye. He was approaching eight and no longer in need of babying. My brother was later to tell me that he was delighted about my arrival. Not because he had his baby sister with him, which under normal circumstances would have irritated the hell out of him, but because my presence would almost certainly topple Stephen as the centre of Sister Irene’s attention. Unacustomed to the tactical manevers of institutional, family group politics my primary concern was to get as much love and cuddles as I could elicit, and for four years Sister Irene provided huge quantities of both. When Sister Irene retired after many years of faithful service another took charge of my world and for a while I was utterly bereft. But I never forgot Sister Irene and made regular visits to her Catford terrace house which she shared with her sister until she died. In all the years that I knew her she never seemed to age. To me she always had the look of a much-loved grandmother, complete with silver-grey hair tinged with a hint of blue. Sister Irene didn’t know she had left a tree in her Will for me, but I know she would have approved of the legacy planted in her memory. Seasons and Timing: Are they Related? Nature shows us that at a specified time a new season is heralded in and we see visible evidence of this in the world around us. 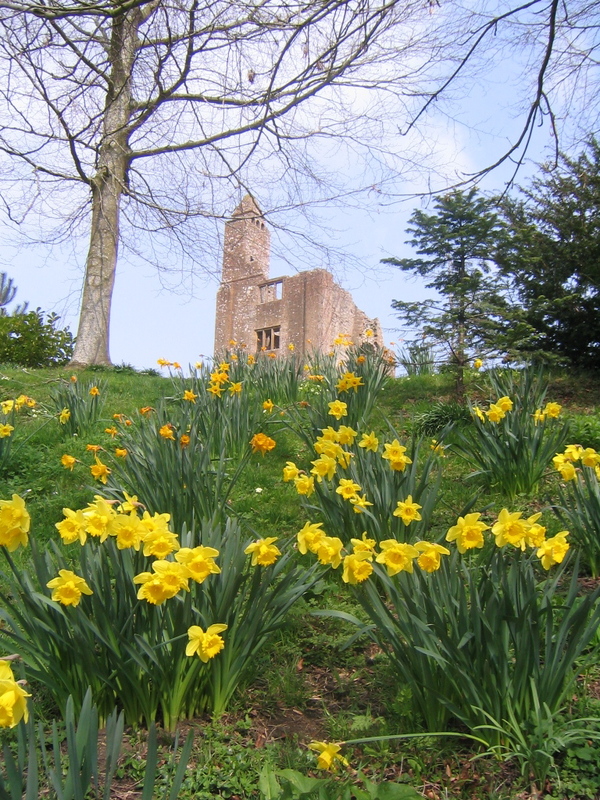 The arrival of daffodils suggest that leaves will soon populate the trees telling us that Spring will soon be here. But can this be applied to human sphere? Speaking as someone who believes hugely in seasonal timing, I would say yes. “Oh heck what is this mad Blogger banging on about now?” I hear you say. Well a couple of weeks ago I would have asked the same question if I had heard them burbling on about such an abstract notion. However, what I recently discovered, as I moved into a fairly hectic season after a period of relative, uneventful calm, is that the new challenges in this season where being prepared for in the last season. Weirder and weirder. Ok, those that know me will tell you that I was a fairly impetuous youth (and you may have deduced that too if you have read my book) and knuckling down taking orders from wiser, more experienced people, who might not always be right, but were in authority over me nonetheless, was not in my gene pool. Or so I told myself and those around me. Then I discovered 1 Peter 5:5 in my Bible (Amplified) “…God sets Himself against the proud (the insolent, the overbearing, the disdainful, the presumptuous, the boastful)—[and He opposes, frustrates, and defeats them], but gives grace (favor, blessing) to the humble.” In other words anyone who thinks they’re a self-made woman (or man) has a rude awakening heading their way. Let me tell you for a Christian that can be a pretty scary revelation… assuming you get it. And I didn’t, not for the longest time. The whole idea of humility just seemed ‘sappy’ to me. However, over time I learned that humility isn’t about cow-cowing to everyone, being a doormat, or always taking the back seat. Its about being a good servant, especially to those in authority over me. In the early years of my career I rose fairly quickly up international developments ranks and I suspect gained a swollen view of my own abilities. Three redundancies later and few years in the low paid, no paid, wilderness brought me face to face with the possibility that whatever abundant life I though God had planned for me, might not come to past after all. Taking direction from teachers and wiping snotty noses in the pre-school I volunteered at; or responding with compasion to patients shouting at me because I couldn’t give them an immediate appointment with a GP at the call centre where I worked was not my ideal career choice. However, what I came to realise, or rather had pointed out to me, was that I was being humbled under the mighty hand of God, and in due time, I would move into the next season. Whenever that might be. Hum, “Due time” is God’s time, and I am told by Bible Teachers that means when God knows we’re ready, not when we think we’re ready. That’s a tough call for an impetuous imp, but I am learning. More often than not, the hard way.